The Society of Jewellery Historians runs a programme of lectures each year, from September to June, featuring speakers from many different disciplines and many parts of the world. Click here for the current programme. The entrance to Burlington House, also home to the Royal Academy of Arts, is on the north side of Piccadilly, half way between Green Park and Piccadilly Circus underground stations. Buses 14, 19, 22 and 38 stop directly outside Burlington House. 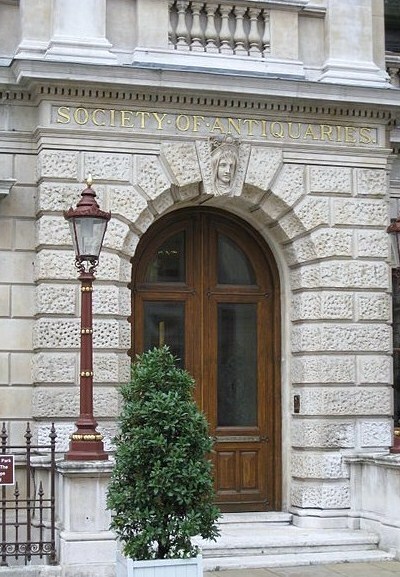 The Society of Antiquaries is at the north-west corner of the Burlington House courtyard. Click here for a map. Each lecture starts promptly at 6.00 pm, and lasts for around one hour. After the lecture, attendees are warmly invited to join the speaker and other members of the Society in the Council room for light refreshments. Attendance at lectures is restricted to members of the Society, and their guests. All attendees are expected to sign the visitors’ book on arrival. If you are not a member, and would like to attend a lecture as a guest of the Society, click here to send your name, contact details, and the subject of the lecture you would like to attend. We will confirm your attendance by email. The Society welcomes new members. If you are interested in joining the Society, click here for further details, or you can collect more information when you attend the lecture.